Caption slip reads: "Photographer: Mack. Date: 1959-02-23. Reporter: Adler. Assignment: Snow in mountains. 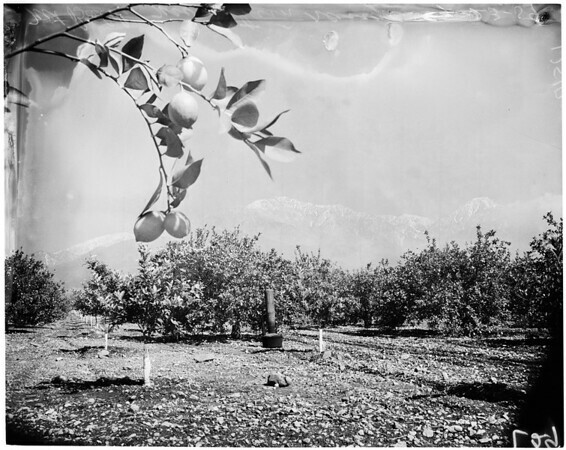 Mount Baldy mountain range as framed against a lemon grove in Upland."